Our rescue team is happy to answer any questions that you might have about placing an Italian Greyhound into our care for long-term adoption. If you are interested in adopting a rescue IG, please thoroughly read Looking for and IG and Caring for an IG before contacting us. 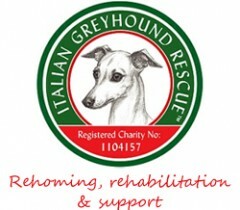 Of you feel you can meet our criteria the next step is to complete the Register with the Rescue form. All enquiries will be handled sensitively and in the strictest of confidence.